Jonathon Dill of Greenville, S.C. killed this 31-pound gobbler on opening day of 2019. 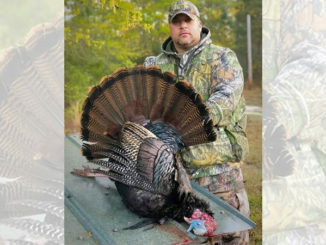 Jonathan Dill of Greenville, S.C. killed a 31-pound gobbler on March 20 during a morning hunt in Greenville County. The bird had a 12-inch beard, and 1 1/4-inch spurs. The giant turkey, which Dill had trail camera photos of, charged into Dill’s decoy spread around 9:30 a.m. after exchanging calls with the hunter for over an hour. A group of hens arrived first, pecking around the setup before the gobbler came in ready for a battle. Dill shot the bird with a Mossberg 935 Magnum 12-gauge and a load of Winchester Longbeard XR from a blind he made of cedar branches picked up on the property. 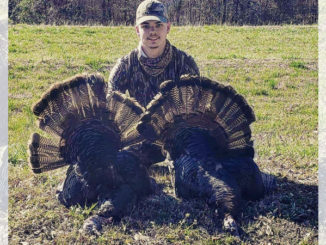 “I’ve been deer hunting my whole life, but I’m fairly new to turkey hunting, so I didn’t really know how out of the ordinary it was for a gobbler to weigh this much,” he said. Once on the property, Dill set up two decoys — a hen on the ground and a jake in the breeding position behind the hen. Then he set up his blind and waited for the woods to wake up. When it was time to call, the gobbler answered him right away. Dill could tell the bird was close. “He answered and it was loud. It sounded like he was about 100 yards away. But then I didn’t hear from him for a good while,” he said. As the day brightened more, Dill called again, and this time the bird answered with a thunder. “He was much closer then. It was so loud and close, it honestly scared me when I heard him. Then I saw the group of hens. A few minutes later he came in all blown up and just marched straight to my decoys. About 15 yards away from me, he turned sideways to look at the decoys and I pulled the trigger. He dropped right on the spot,” said Dill. 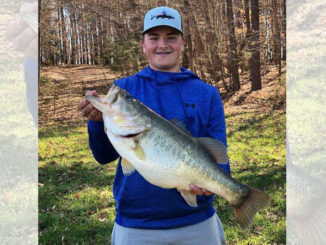 After the hunt, Dill had several people suggest he heck on getting the bird measured and weighed as a potential South Carolina state record. 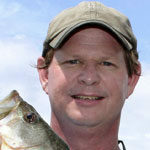 He left messages with the SCDNR, but he didn’t hear back for several days. By the time he learned of the proper steps to get a turkey certified, he had already processed the bird. “That was just heartbreaking. I’ve never hunted looking for accolades or confirmation of being a woodsman, but when something like that happens and you have the chance to get recognized for it, it is just heartbreaking to find out too late that you didn’t take the proper steps. And it wasn’t at all easy to find out what those steps should have been. It was eight days between the time I called the DNR and finally hearing how to go about getting a turkey certified,” he said. 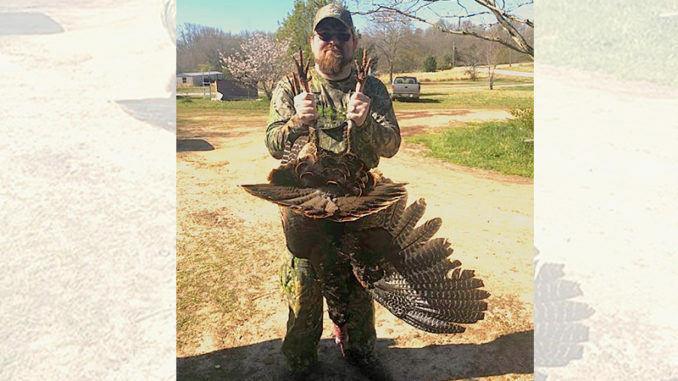 Dill had several witnesses to him weighing the bird and taking measurements, but the NWTF, who the SCDNR eventually told Dill handles state records, requires Eastern turkeys over 22 pounds to be weighed and measured on scales that are inspected and certified by the Dept. of Agriculture. How do you have a turkey certified by the NWTF? “You also have to be a member of the NWTF, which I’m not. And you need a witness that is an NWTF member. And you have to pay a fee to have your turkey considered. It would have cost me the membership fee and the application fee just to have my bird considered. But I would have done it if I had known that’s what I had to do. But by then, I’d already cleaned the bird,” he said. Dill hopes other hunters will learn from his story so they won’t miss out on a potential state record. If you’d like your turkey recognized by the NWTF, click here to fill out the form and make sure to follow the proper steps before processing the bird.